How do I create a Bootable MultiBoot Malware Scanner USB? 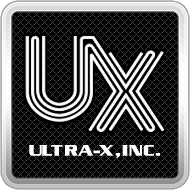 – Ultra-X, Inc.
2. Download and extract the UAV MultiBoot Malware Scanner USB - RAR file so that you are left with the .IMG file. 4. Navigate to the IMG file you extracted and click open. 8. Wait for the writing to complete. 9. Once complete, eject the USB and close Win32DiskImager. 10. You can now use the USB to boot Legacy BIOS and UEFI BIOS based PC's.